winLIFE GEAR WHEELS AND BEARINGS in addition to winLIFE BASIC. The fatigue life of gear wheels is limited due to damage in the gear tooth base (bending fatigue) or in the flank (pittings). Depending on the material and the pressure, both types of damage are possible. Therefore, both cases should be calculated. Gear tooth base fatigue occurs due to dynamic bending of the gear tooth base, which can result in a primary crack and finally to a tear in the tooth, depending on the roughness of the surface, the stress and the notch factor. 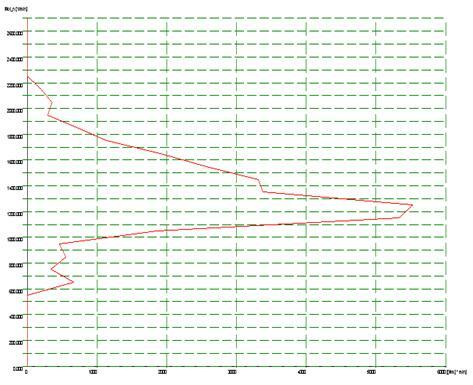 Detailed S-N curves have been created so that this winLIFE-module is based on a calculation with a sound basis. Peripheral force on a tooth and the bending stress on the base of the tooth which results from this. When the force of the tooth shifts to the tooth flank, it causes Hertz Pressing which can lead to material fatigue in the form of pittings. Fatigue life can also be described with S-N curves. Force on a tooth and the pressing ratios resulting from this. The reason for fatigue in antifriction bearings is – similarly to the way pittings occur on the tooth flank – the local Hertz Pressing. It is also possible to describe this fatigue phenomenon with exponential equations which can be shown in a similar way to S-N curves. 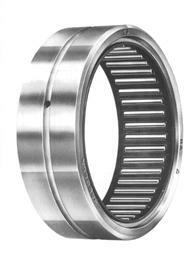 The data established by the manufacturer of the bearings is very useful and near reality. As a result, the predicted life will be in good correlation to real life. In order to calculate the fatigue life of all the elements described so far, S-N curves or similar methods can be used. The following modifications are common. Input dialog for creating an S-N curve for gear wheels. DIN standards or FVA guidelines which have been converted in an S-N curve generator can be of assistance when you are establishing S-N curve data for gear wheels. The figure above shows the winLIFE input dialog for this type of generator. Data for calculating the fatigue life of antifriction bearings can be obtained from the manufacturers´ catalogues. 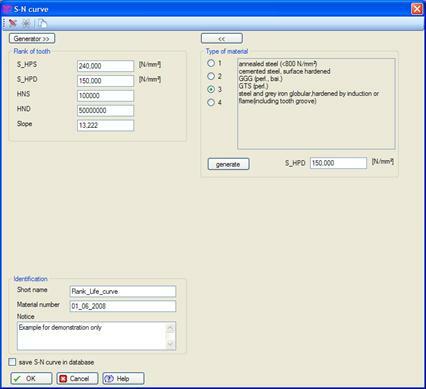 The relevant calculation procedure is integrated in wnLIFE. The fatigue life of gear wheels or antifriction bearings depends on the number of revolutions and the resulting loading – torque or bearing force. When calculating fatigue life, a load is required. The user can either input this into a chart or enter it interactively in the dwelling time matrix graph. Input dialog for the dwelling time matrix. A time period is entered for each element of the rmp-torque matrix. Because a typical matrix will contain several hundred elements, it is not usual for dwelling time matrices to be entered manually. 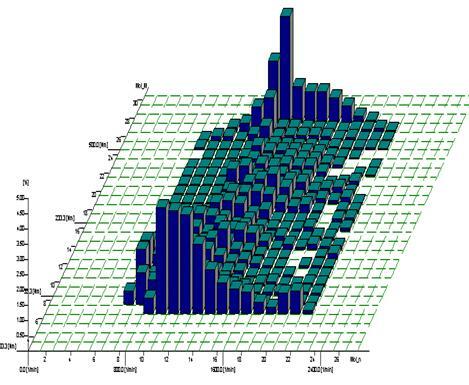 They are normally derived from data already available or from simulation calculations. The figure above shows a dwelling time matrix transferred from the winEVA System. Since the winLIFE interface is well documented, it is very easy to link up to other Systems. The load spectrum is automatically converted to a torque (bearings force) -rmp spectrum necessary for the fatigue life calculation. The result is shown in the next figure. The load that the user now has to work with usually relates to a characteristic/typical part (e.g. gearbox inlet shaft), which was easy to measure. In order to convert to the spectrum of the part being tested (e.g. planet gear), the user must enter the corresponding factors for rpm and torque. When dealing with gear wheels, you must also enter other factors for the number of engagements per rotation or specific influences of reversal of stress when dealing with planet gears. The actual fatigue life calculation is carried out according to the linear fatigue damage accumulation hypothesis, as in the winLIFE Basis module. Detailed results are documented in the protocol file and archived in the project file. In the case of spectrums, the proportion of each individual step is recorded. A user who has already worked with the winLIFE Basis module will be able to use this program immediately because it is structured in exactly the same way. The fatigue life of gear wheels and bearings is calculated in a similar way to general engineering components. A module for this calculation has therefore been created which is integrated in the user-interface of winLIFE Version 2.3 and subsequent versions. The calculation process is the same as in the Basic-Module. Therefore the user will very soon get to grips with this program.